Vince and Mona Hearns with the late Andy McGann and Bronagh Walsh, 2nd from left, in New York 1990. The Hearns met with Andy to discuss his invitation to be President of Fleadh Cheoil na hEireann in Sligo that year. THE death has occurred in New York of 76-years old Andy McGann, the famed traditional Sligo-style fiddle player who, as a one-time pupil of the great Michael Coleman, bridged the generational gap by not only learning, sharing and keeping the music alive, but enhancing it in the process. And for a wave of younger fiddle players, particularly in the U.S., McGann’s music helped fire a passionate love affair with the fascinating and now much-studied Sligo style. “I would like people in Ireland to remember him and pay him tribute,” one of those players, Brian Conway, told The Sligo Champion from New York. “He let his music do his talking. He had a wry sense of humour. He was a gentleman to the end,” said Mr. Conway. McGann’s last professional recording, “First Through the Gate” came out in 2002. Having been ill for some time, his death occurred last Wednesday in Cabrini Medical Centre’s hospice unit, on East 19th Street in Manhattan. Although born in the U.S., Andy McGann maintained, mainly through his music, a close association with County Sligo, the ancestral home of his parents. It was a link suitably gilded in 1990 when he was invited to Sligo as honorary president of the All-Ireland Fleadh Cheoil in the town. Those celebrated on that special occasion included Michael Coleman, James Morrison, Paddy Killoran, Martin Wynne, Lad O’Beirne, P. Sweeney, Patsy Cawley, Joe O’Dowd, Kathleen Harrington, Edmond Murphy, John Vesey, Tom Gannon, John Joe Gardiner, Michael Gorman, Phil McConnon, and others who contributed to much to the rich archive of unique Irish fiddle playing, endowed with all its distinctive styles and subtle variations. Andy McGann was born on October 5th, 1928, to parents – Andrew McGann, from White Gates or Marlow, near Ballymote, and Margaret Dwyer, from Keash – who had immigrated to New York City, where they met and married. They also had another son, John. 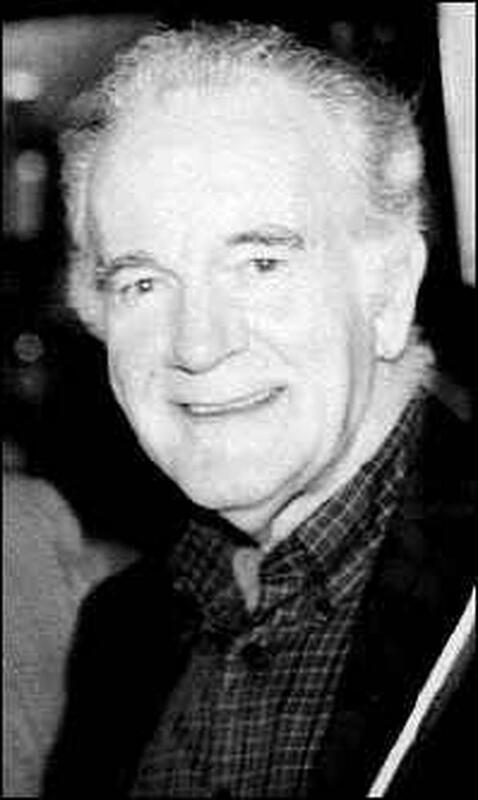 As a child, stepdancing and fiddle playing were part of Andy’s life in the South Bronx, where he was surrounded by Irish talent such as Paddy Killoran, Patsy Sweeney, Tim Harte, Patsy Cauley, John McGrath, Charlie Mulvihill, and others. He first took dance lessons from a Kerry teacher named Sean Murphy. And with no fewer than three Irish local radio programmes in New York at the time, the music of his parents’ homeland often wafted through the McGann household. Neither of Andy’s parents played an instrument. “But my father had music in his head and could whistle a lot of tunes. There were recordings, too, back then, old 78s, which we listened to as a family,” said Andy, according to the linear notes from the CD “A Tribute to Michael Coleman” written in August 1994 by Earle Hitchner, traditional music writer for the New York-based Irish Echo Newspaper. Andy’s first instructor, until he was about 12, was U.S.-born fiddle player Catherine Brennan Grant. But Michael Coleman, whom Andy’s father knew, often visited her house to play, and Andy had heard that she too had taken some lessons from Coleman. When Andy enrolled in Cardinal Hayes High School in the Bronx, the equivalent of secondary school in Ireland, he played violin in the school orchestra, and developed his ability to play, read and write music. But Andy did recall the time he first met Coleman. About five years later, Coleman dropped by the McGann home to play a few tunes with Andy, who had now progressed well past the beginner stage. McGann acknowledged, in Hitchner’s article, that Coleman was then the greatest single influence on him. “We played together, off and on, right up to the time of his death in 1945,” said McGann. When he was about 12, he first heard the playing of Lad O’Beirne, whom Andy described as “technically brilliant, one of the most capable artists” he could think of. And he said he had the good fortune to meet and play with such a talented fiddlers as Paddy Killoran and Larry Redican. Informal monthly sessions followed at a music club beside New York City’s Central Opera House until 1949 when Andy veered more toward playing at feiseanna, ceilithe, weddings, dance halls, ballrooms and St. Patrick’s Day events. Often playing duet with him at this time was Longford fiddler Paddy Reynolds and Tipperary button accordionist Paddy O’Brien. Then came the New York Ceili Band, a virtuoso lineup consisting of McGann, Reynolds and Redican on fiddles, Jack Coen and Mike Dorney on flutes, O’Brien on the button accordion, the late Felix Dolan on piano, Jerry Wallace on picolo, Chris Darcy on drums, and, occasionally, manager Steve Quinn on button accordion. In 1962, Joe Burke arrived in New York, and subsequently began a musical and personal relationship that endured until Andy’s death last week. When they played, they were often joined by Dolan. After the release of “A Tribute to Michael Coleman,” in 1966, it was another 10 years before Andy recorded his next album, “Andy McGann and Paddy Reynolds” from Shanachie Records. On the album, McGann and Reynolds were backed on acoustic guitar by Paul Brady. The 1966 LP from Shaskeen Records, entitled “Joe Burke, Andy McGann and Felix Dolan Play a Tribute to Michael Coleman” put “Andy McGann’s brilliant fiddling on the world Irish traditional music map,” where he remained “one of Irish America’s greatest talents ever,” wrote Hitchner in 1994 on the occasion of the released album, on cassette and CD, from Green Linnet Records. In 1979, together with Burke and Dolan, he recorded the album “The Funny Reel.” In later years, he recorded a solo LP on the Shanachie label accompanied by Paul Brady. He also made records with such luminaries as John Vesey, Tommy Peoples and Kevin Burke. However, he made few commercial recordings, and Andy himself once said the opportunity to record earlier than when he did just never presented itself. McNamara said the best compliment he heard for McGann came from the late great musician and composer Josie McDermott, who lived at Coolmine, Ballyfarnon. “I asked Josie one time who would be top of all the fiddle players he knew and he replied that Andy was the best there ever was,” said McNamara. A wake for Andy McGann took place on Saturday and Sunday last at the Kritel Funeral Home, First Avenue, between East 69th and East 70th streets, in Manhattan. His funeral Mass took place on Monday, in Our Lady of Good Counsel Church, East 90th Street, between Second and Third avenues. Andy, who lived in Manhattan, is survived by his wife, Patricia; three sons Mark, Niall and Kieran, and by a daughter Megan.